Metabolism rate is the rate at which your body burns calories. The more high your metabolic rate will be, the more quickly you will burn calories and more fast you will lose weight. Having a decently high metabolism rate is a good way to not letting extra fat getting accumulated. Whether you are looking forward to losing weight or just having a nice toned physique, high metabolism rate will be beneficiary in such scenarios. There are many ways to give a boost to your metabolism rate including things like exercising. Basically a metabolism means the process of conversion of food into energy, hence having a high metabolism relates to higher capacity of the body to burn of calories and not let it accumulate in form of fat and keeps your weight in check. There are many factors that govern the metabolism rate. Men usually a higher metabolism rate as compared to women. Aging also affects it as gradually over the period of time the metabolism rate deteriorates. Hereditary and any kind of disorder such as thyroid also affect the metabolism rate of a person. But by following certain simple principles you can get your metabolism rate up and kicking. Breakfast is definitely the most important meal of the day and having a sumptuous and healthy breakfast will give a jump start to your metabolism rate. Skipping your breakfast will mean not providing the body with essential ingredients to kick of the system. It is said that the breakfast should be the heaviest meal of the day and rest should be regular but the amount of intake of food should be less. It is because your body needs time to process the digested food into energy and giving it proper time is always beneficial. This is again the reason why it is preferable to be over with you dinner at least 3-4 hours before you hit the bed, as it gives enough time to burn the food. Fidgeting involves moving your feet or tapping your fingers. Fidgeting is more easier form of exercise as your can do it while working at office or on your laptop. Fidgeting helps you to reduce weight by burning calories and increasing your metabolic rate. Studies suggest that people who fidget have improved metabolic rate and thinner than others. Having small but regular meals is important as it helps in keeping the system in a high functioning mode rather than starvation mode, hence aids in having a high metabolism rate. Regularly providing energy to your body is also vital. You must have heard from many places about benefits of drinking water. 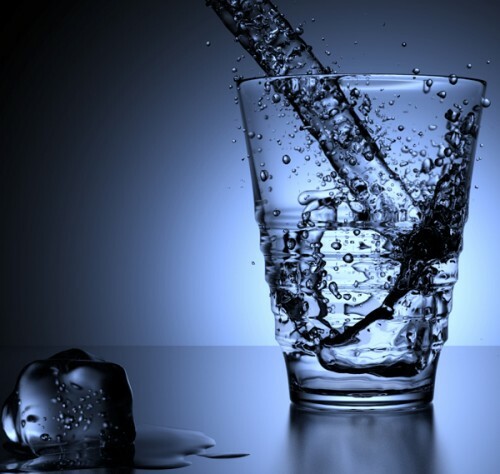 When you take cold water, the body burns calories warming it to body temperature. Having enough water keeps you metabolism running in optimum rate and help in energy burning. Cold showers may not be comfortable but they can certainly increase metabolism rate by improving the circulation. It might be tough to take cold shower during winter but you can take hot shower and quickly blast yourself with cold water for few seconds. Regularly exercising keeps your body in optimum condition and also affects in in maintain a high metabolism rate. It has been found that since any form of exercising increases you hear rate which directly corresponds to a high metabolism rate. Weight training and other form of progressive resistant exercising helps in making those muscles which not only makes you look good but also contributes to burning of calories as muscles have a tendency to burn more calories as compared to fat. There are many kinds of foods and drinks you can have that gives a boost to your metabolism rate. For example spices tend to increases the metabolism by a huge margin. Having cold water also increases the output required from your system as the water needs to heated, which in turn increases your metabolism. There are details of many food and drink items given on how much affect they have on an average person’s metabolism rate. So burning all those calories is also possible while eating and drinking. Take low-fat protein foods such as lean meat, tofu, nuts, beans, eggs, skinless chicken as 30 percent of your daily food intake. The body burns more calories while digesting protein as it uses for fat or carbohydrates. Eating plenty of such foods will help you to increase your metabolism rate. Spicy foods are well known to kick of the body’s metabolism rate. 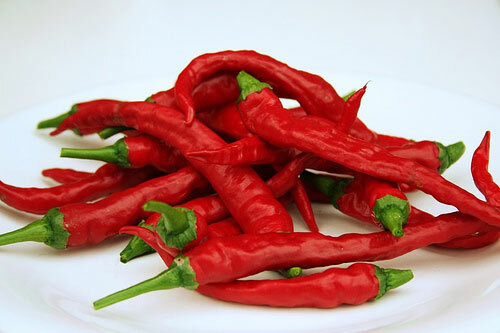 A tablespoon of cayenne pepper, chopped red or green chili pepper can put your body’s metabolism rate in high gear. The effects are believed to be temporary but you can spice up your dishes which you cook daily with chili, and stews with red-pepper flakes. Give yourself a reason to smile. Laughing is the best medicine and can help you to burn calories. In a study, scientists have found that laughing up to 20-30 minutes a day can boost your metabolic rate. Most of the people believe that more they eat, the more calorie they would consume and it would become difficult to burn it. But, the truth is that having some low calorie products not only serve as your quick meal but also helps you to speed up metabolic rate. So get ready with bean and eggs at the breakfast table for metabolism boost. With following these simple steps you will find that you have a higher metabolism rate which keeps all those extra calories at bay. Though the metabolism rates starts decreasing with age but with some smart and healthy way of living you keep your body running in an optimum way. So shed those extra pounds and feel the bliss of a healthy body while maintain a sufficient metabolism rate.